In the exciting new card game, Chase the Flush, players go head-to-head with the dealer using three-hole cards and four community cards to make a seven-card flush. To win the game, a player must have a longer flush than the dealer. If a player and the dealer both have the same number of cards, card rankings are used to decide on the winner. 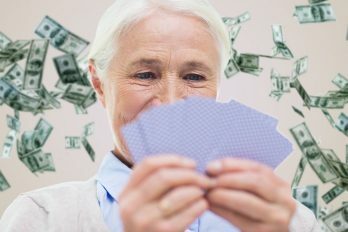 If a player wins with four or more cards in the same suit, they are paid a mandatory X-tra Bonus. If they have a four-card flush or higher, they will also receive an optional Same Suit Bonus. 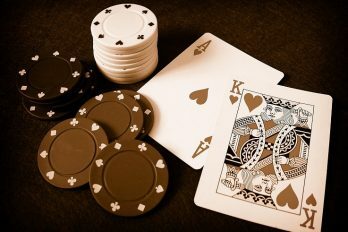 In this article, we explore Chase the Flush in more detail. To begin the game, the dealer will hand you a stack of chips. You must then bet on the X-Tra bonus spot and the Ante spot in equal amounts. If you like, you can also bet on the Same Suit Bonus spot, which we will explore in more detail later on. Once you’ve placed all your bets, you and the dealer will each receive three cards. At this stage, you’re allowed to look at your cards; however, the dealer must wait until the end of the game. Using your three cards and the four community cards, you must try to beat the dealers best flush hand. To do this, you must use all seven cards. To be in with a chance, the dealer must make a minimum of a three-card flush or a nine-high quality. Once you’ve looked at your cards, you can check or bet 3x your Ante bet in the ‘All’ spot. The dealer will then reveal two of the community cards and ask you how you wish to proceed. If you haven’t bet on the All spot yet, you have the option to check or bet 2x your Ante bet. While waiting until this stage to place your bet may give you an advantage, you’re only able to wager 2x your bet instead of the 3x available earlier in the game. Finally, the dealer will turn over the last two community cards. If you haven’t bet on the All spot yet, you must either fold or bet 1x your Ante wager. Once this has been done, the dealer will expose his hand and reveal his best flush. To win a game of Chase the Flush, you must beat the dealer’s flush hand. However, it’s important that the dealer qualifies. If the dealer fails to qualify, the Ante wager turns into a push. If the dealer does qualify, you win if your flush contains more cards than the dealer’s. If you and the dealer hold the same amount of flush cards – for instance, three cards each – the card rankings are used to determine who wins. If you have the highest flush hand, not only will you win the ‘All’ bets, but you’ll also bag any money in the Ante spot. Unless you have a minimum of a four-card flush, the extra bonus wager is a tie. The money will then be paid out based on the pay chart. If you and the dealer tie, all three bets push. If the dealer has a better flush than you, you’ll lose the X-Tra and Ante wagers. In Chase the Flush, there is an optional ‘Same Suit Wager’. This only pays when both your flush and the dealers are of the same suit, and your flush contains a minimum of four-cards. It’s worth noting that you do not need to win the hand to be paid on the Same Suit Wager. For the main Chase the Flush game, the house edge is only 2.65% of an Ante. Compared to other casino games, this is very reasonable; in fact, it’s comparable with Texas Hold’em’s house edge. When using the basic strategy, you’ll yield a practical -2.99% return. The house advantage of the Same Suit bonus is a little higher at 5.67%. There are a few different strategies you can use for Chase the Flush. One of the most popular strategies is to make the All in 3x wager any three suited cards or two suited face cards. When it comes to the All in 2x bet, use any three suited cards. Alternatively, make the All in 1x wager with any three suited cards or two pairs of face cards. While this requires an additional bet, it increases your chance of winning. Next time you visit the casino, why not test your luck with Chase the Flush. As it’s a new game, the table is unlikely to be too busy; this means that you can enjoy the poker variant without having to wait in line. If you’re still unsure of the rules, why not practice the game via an online casino before your visit. 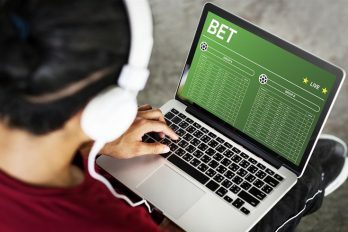 As many betting sites offer free credit, you can brush up on your skills without breaking the bank. With so many online casinos available, it can be difficult to decide which one to use. Thankfully, we are here to help. At Casinobet.com, we review a wide range of casinos and games so that we can let you know which ones are best. Additionally, we take into account any bonuses and promotions to help you get the most for your money. 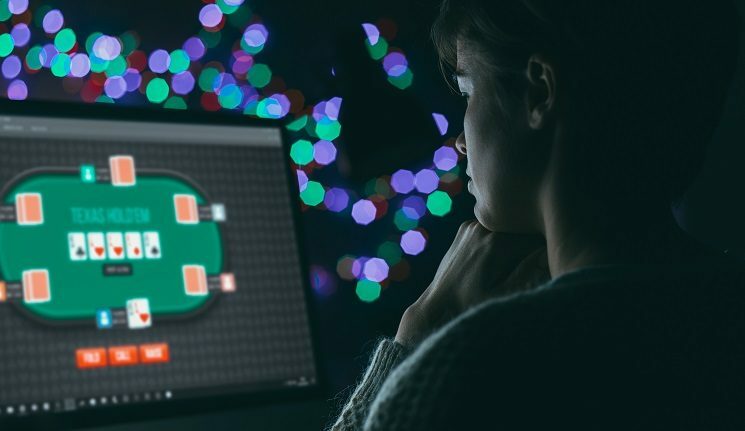 Due to the addictive nature of gambling, it’s important to consider your financial situation before playing Chase the Flush via an online or physical casino.